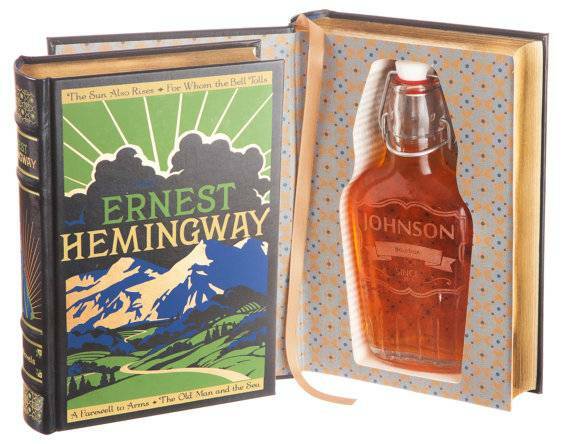 Looking for the perfect gift for a book lover who also happens to enjoy a drink or two? 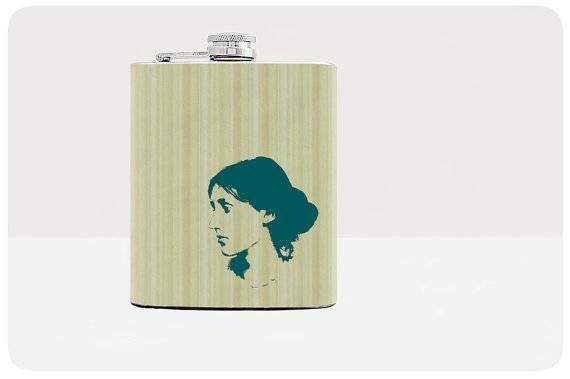 Then you’ll want to snag them a literary flask. 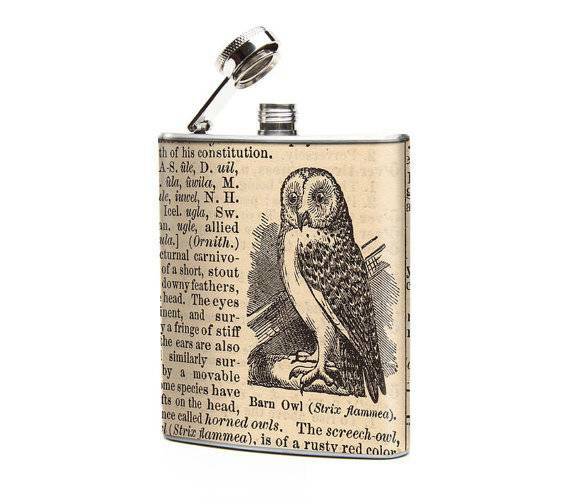 Here’s a small selection of the wide range of the bookish styles of portable liquid holders. 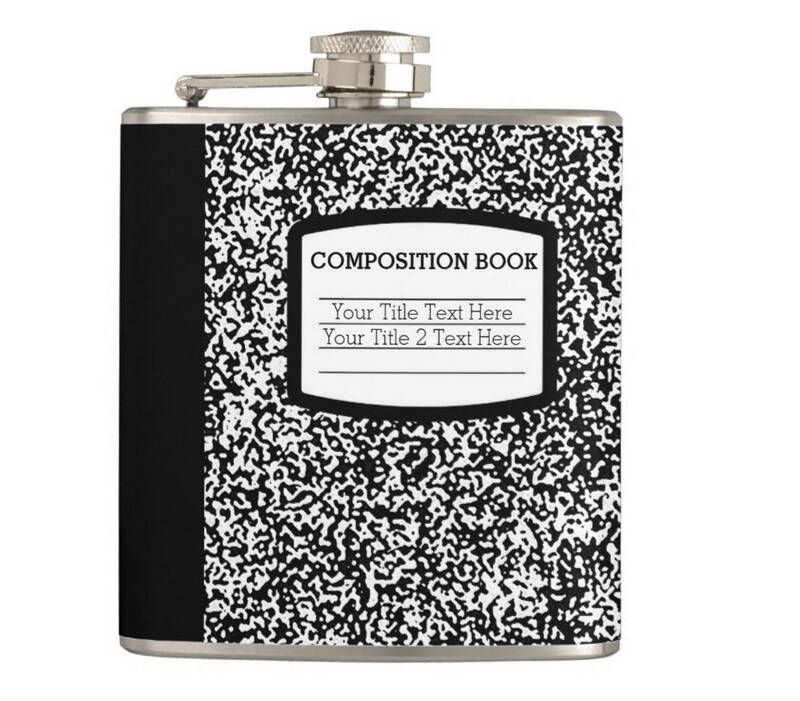 This classy composition notebook flask is customizable. 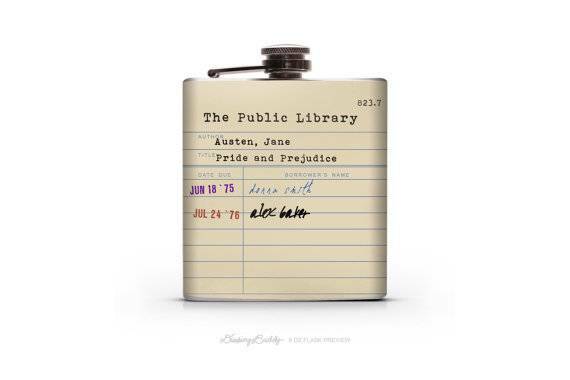 You can get this Jane Austen public library catalog card flask in two different sizes. 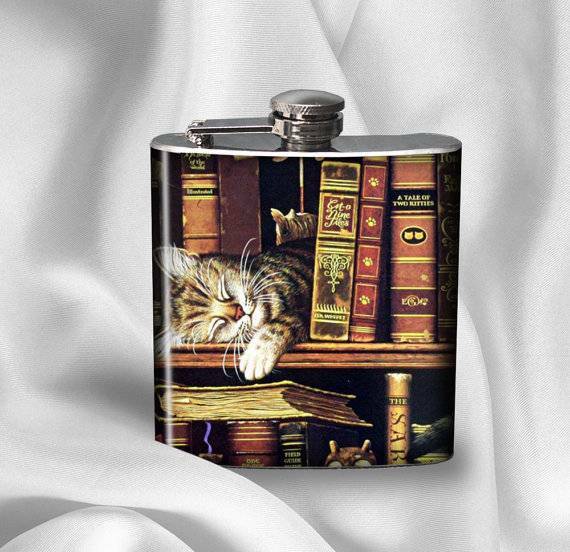 This one is for the drinker who also loves cats. 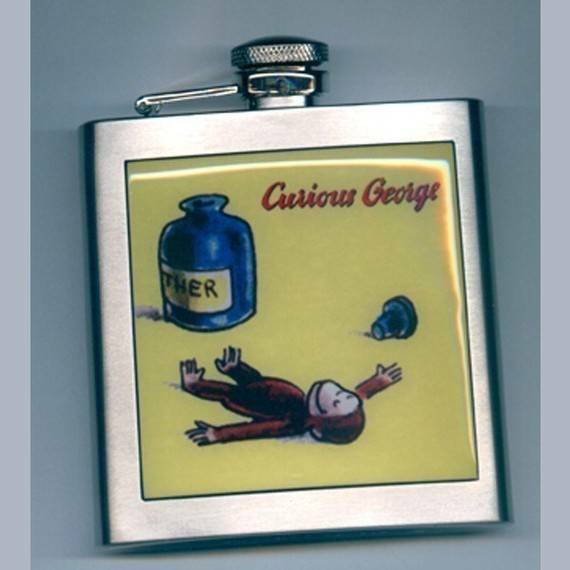 Need a safe storage place for a flask? 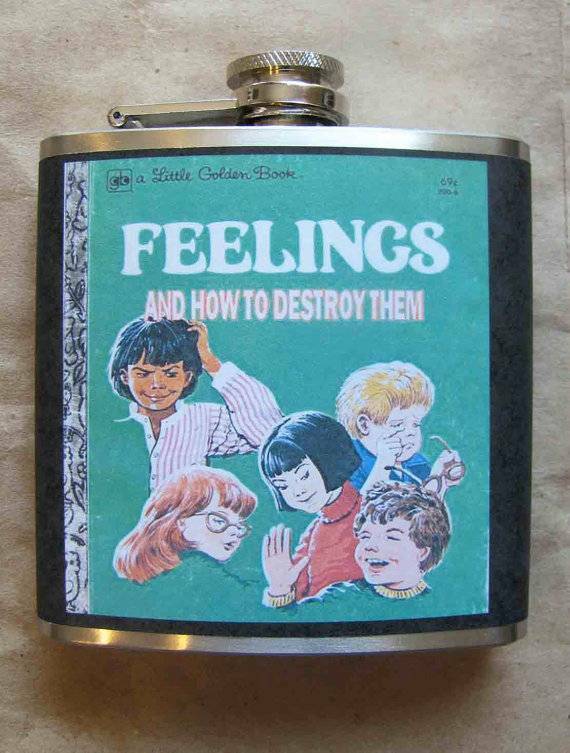 This flask comes inside a book. 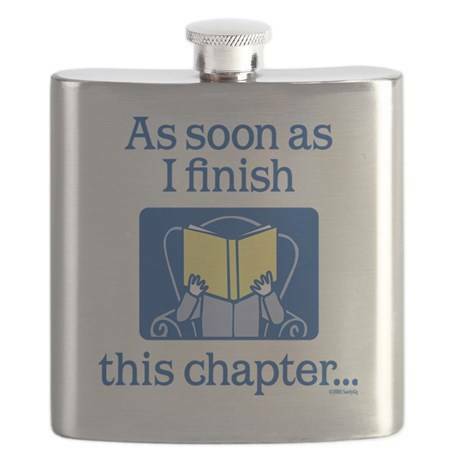 You probably don’t need to wait if you’re enjoying your drink with this flask while you read that chapter. Two birds, one couch spot. The grown-up version of Little Golden Books. Chase that white whale, my friend. 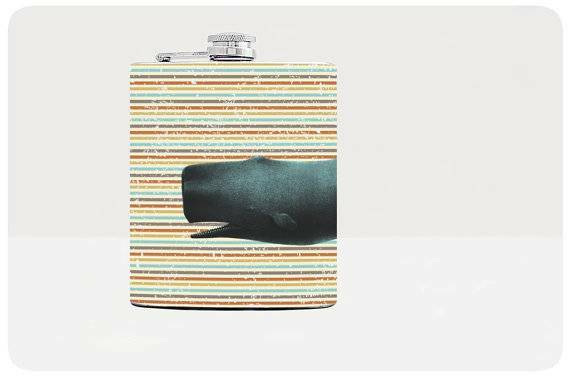 This whale isn’t white, but maybe by the time you finish the liquid inside this flask, you’ll see it. 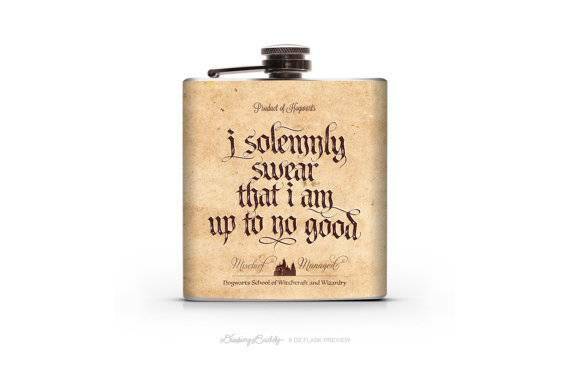 There’s a whole new meaning to Mischief Managed, amirite? 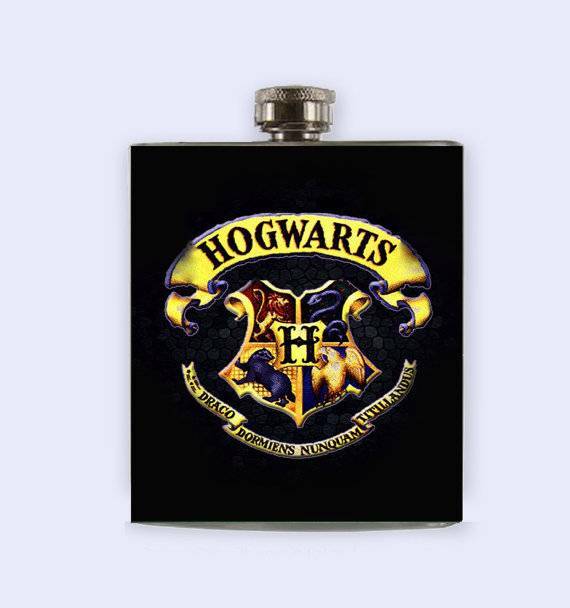 Speaking of Harry Potter, here’s a classy Hogwarts flask. 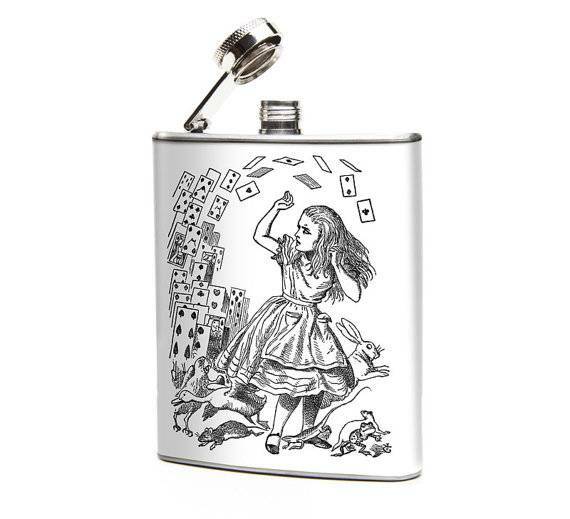 You can pick from among a few different Alice in Wonderland designs in this shop. From the same shop, you can select from a few vintage Dictionary pages. This is so inappropriate and yet really damn funny. 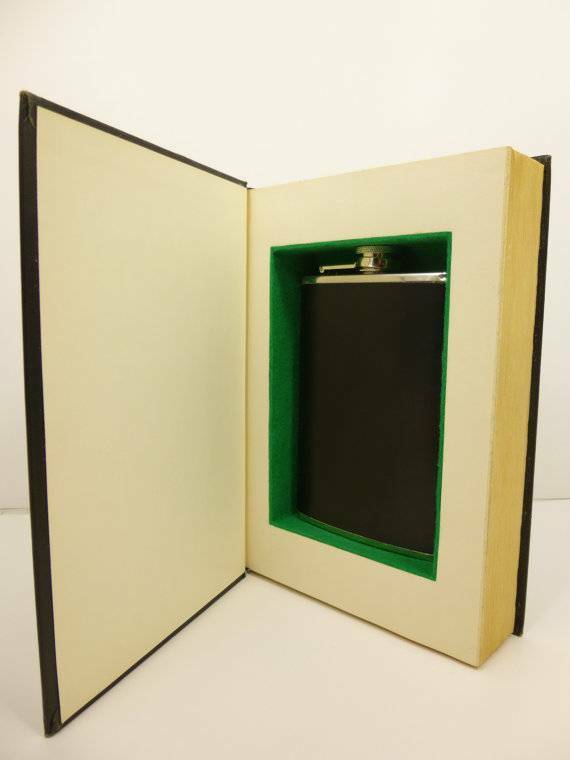 This is a classy glass flask inside a really classy book case. There are a few styles to choose from, too.